Sub-Vers Replacement Dual Coil Atomizers come in packs of five and are built with Kanthal at 0.1 ohm Ω, 0.2 ohm Ω and a powerful 0.5 ohm Ω to provide full yet smooth draws. Each atomizer is wicked with 100% organic Japanese cotton to ensure clean and pure taste. 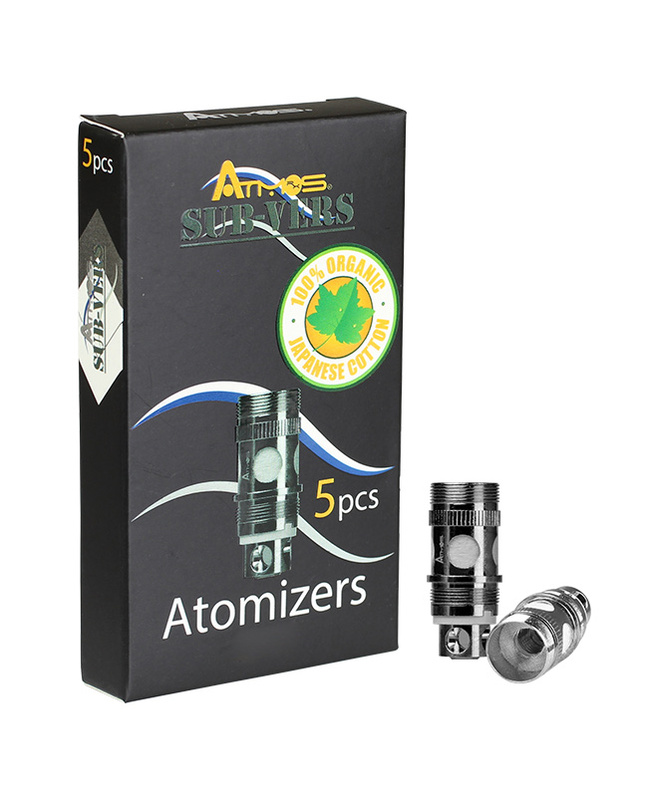 Sub-Vers Replacement Dual Coil Atomizers are compatible with 510 Sub Vers Cartridge, 510 Sub Vers TF Cartridge, and 510 Sub Vers 10M Cartridge. This atomizer is AWESOME. I'm a DIY e-juice maker and one particularly thick, waxy oil I make is prone to having an almost molasses-like consistency if it drops below average room-temp. 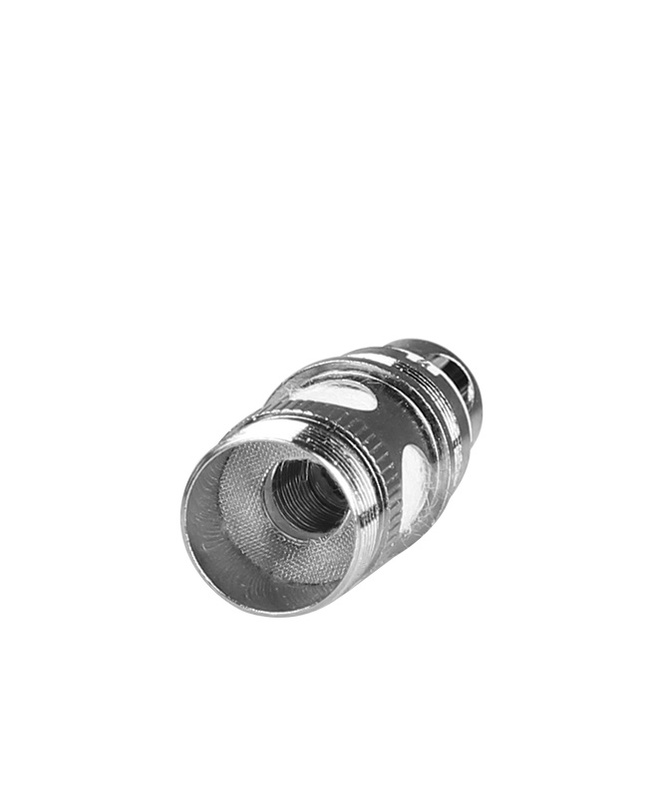 Due to the exceptionally large wick holes on this atomizer, the thick oils are NO PROBLEM. 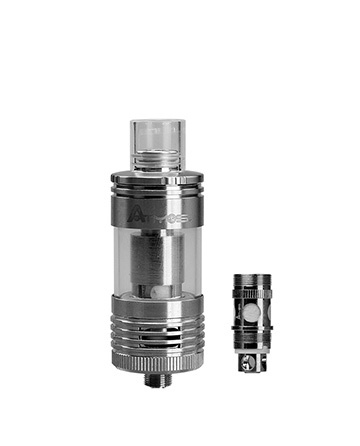 I would recommend the Sub-Vers Replacement Dual Coil Atomizers to anyone with a Sub Vers Cartridge, Sub Vers TF Cartridge, or Sub Vers 10M Cartridge. You won't be disappointed!